Is it true that I won’t need to have a putty mold taken of my mouth? If you’re researching your options for getting your teeth straightened, you’ll want to ensure that your orthodontist is using the most up-to-date processes. And this starts with the way that the mold of your teeth is taken. Actually, this first stage of the process can be enough to make some people think twice about even going ahead with straightening their smile, because the idea of having to have a mouthful of putty is so off-putting. At Brace5, thanks to head orthodontist Dr John Mamutil’s embrace of technology, this old style of mouth-molding – which can make many patients gag – has been relegated to the history books. In 2011, John became the first practitioner in Australia to acquire the iTero 3D scanner, eliminating the need for any Brace5 patients to undergo uncomfortable, messy impressions of their teeth. This advanced piece of equipment quickly and comfortably generates highly accurate 3D mouth imaging without any putty in sight. Perhaps unsurprisingly, this commitment to making patients’ orthodontic treatment as comfortable as possible has greatly contributed to the success of Invisalign treatments at Brace5. 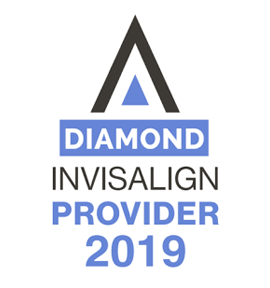 In fact, John’s passion for always being at the cutting edge of teeth straightening has enabled him to become the Hills District’s only Diamond accredited Specialist Provider for Invisalign – the clear alternative to braces.